Like all sectors, the agricultural sector faces the same obligations in the areas of health and safety in work practices, and in hygiene procedures in food processing. But in order to run an efficient dairy farm, chemicals are required when it comes to cleaning milking systems. 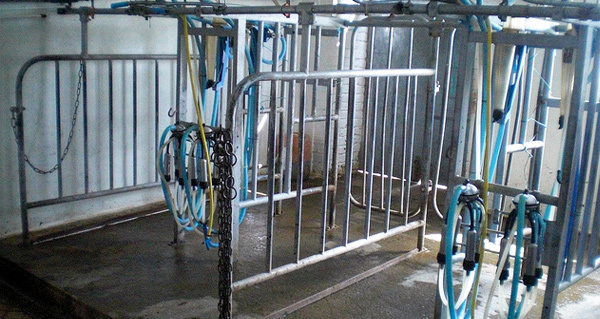 The importance of properly cleaning and sanitizing milking systems cannot be underestimated. For milk-producers, it is the cleanliness of the equipment in their parlour, as well as the efficiency of the system it makes up, that directly impact on the quality and salability of the final product. Adhering to the regulations affecting sanitation is understandably essential, the benefits make the effort well worthwhile. But what are the principles and practices that are central to establishing the effective milking equipment cleaning system. The use of chemical cleaners is sometimes criticized, but where cleaning and sanitizing is concerned, using the right products is the surest way to achieve the highest levels of cleanliness. The principal reason of course is that the scientific research has supported calls for strict production regulations, a key part of which is related to the level of hygiene in food production industries, both in terms of the operation’s environment and in the machinery and systems that are used. Paragraph 26 – Equipment that comes into contact with the milk during milking shall a) be rinsed, washed, rinsed and drained within one hour after use; b) when not in use, be stored in a manner that prevents contamination; and c) be sanitized and drained immediately before use. Paragraph 28 – A person shall only use a cleaning agent, sanitizer or pesticide that meets the standards established by the Food and Drugs Act or the Pest Control Products Act, or that is in the reference listing of accepted construction materials, packaging materials and non-food chemical products published by the Canadian Food Inspection Authority (CFIA). maintain milk quality – your herd’s produce will be cleaner, safer and more palatable. provide larger profits – cleaning and sanitizing your milking equipment leads to lower bacterial count which will result in premium payments. Different countries have set specific rules in the dairy industry (as with all) designed to protect animals, farmers, the consumer, and increasingly the environment. It means that while the principals are largely the same, the permitted techniques and cleaning products when cleaning and sanitizing milking systems can differ too. All 5 of the elements mentioned above are important, but the root purpose behind cleaning at all is to remove all soils from the surface of the milking equipment. It is only through this that bacteria can be kept at bay and the quality of milk maintained at a high level. There are several milk soils each of which come from the milk itself and are left as residual deposits on machine surfaces. Removing these soils properly can only be achieved with a mixture of water and chemicals. Fat – milk fat starts to solidify below 40.5C to 43C (105F to 110F), sticking to surfaces. Protein – milk protein denatures at high temperatures and sticks to surfaces, building up in layers over time and becoming very difficult to remove. Lactose – milk minerals can combine with proteins to form milkstone. Milking equipment cleaning programs have to be able to deal all of these individual aspects of milk soil. But because these aspects are so different (especially in terms of their solubility), water and chemicals are both necessary. Hot water works best for a number of reasons. It acts as a solvent when it comes to breaking down soils, like milk lactose, and dilutes cleaning products. Water also works as a scouring agent on smooth surfaces, helping to shift residues as they are broken down, and then flushing the system out of the system. With chemicals, it dilutes cleaning product and quickly carries them around the milking system. Hot water also helps to accelerate chemical reactions, so aids in setting a high efficiency rate. However, the hardness of the water is important too. Hard water contains dissolved minerals, like calcium and magnesium, and this can affect how well the cleaning chemicals perform, while iron can leave rusty deposits. Alkaline detergents and sanitizers can be less effective when dissolved organic material is in the water. Velocity Chemicals can help optimize your dairy operation with measurable improvements in operational efficiency, overall farm sustainability and milk safety and quality. 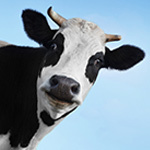 We help dairy producers improve cleaning and sanitization, and provide high-quality udder hygiene and hoof care products needed to produce safe, wholesome milk. Our account representatives work with you to deliver innovative chemical products and programs, backed by our technical experts. VELOSAN – a Quaternary ammonium compound that is ideal for cleaning and sanitizing hard surfaces in food processing and industrial areas. CFIA approved, it’s an effective one-step sanitizer for non-food contact surfaces and food contact surfaces where a rinse is not required. It is a non-acid disinfectant with no phosphates, and a hard water and organic soil tolerance Cleans, disinfects, and deodorizes at the same time. VELOSAN is also recommended for use in hatcheries, poultry and swine premises to disinfect and clean equipment or heavy duty vehicles, and other hard surfaces. PHALANX – a water-based general purpose cleaner and degreaser specially formulated for the cleaning of dairy and food processing areas. CFIA approved, this solvent gives accelerated action in penetrating and dissolving grease and oil, ensuring the highest quality clean. PHALANX general purpose cleaning and degreaser is ideally suited to handling milking parlour and barn walls and floors, farm equipment, sidewalks and walkways. For more information on dairy farm codes of practice, and milking equipment cleaning regulations, check out the further information available from the Canadian Dairy Commission, or talk to one of our team at 1-888-963-9499, or email us today!